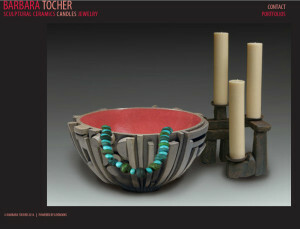 Barbara Hoffmann has worked for 40 years with pottery and sculptural stoneware. 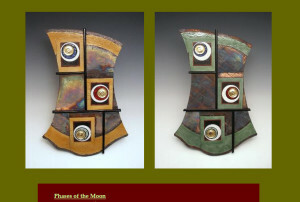 She specializes in high, gas fired, reduction stoneware, as well as wood-fire, salt glaze, porcelain, earthenware and Raku. Beth Changstrom works include painting, drawing, pottery, mixed media and collage. 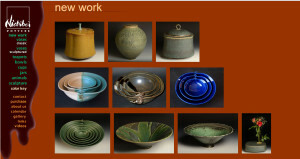 Beverly Prevost is a clay artist who specializes in stoneware, pottery, handmade dinnerware, and handmade vessels. 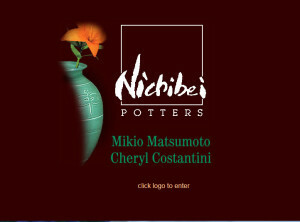 She graduated from the University of Georgia with an MFA in Ceramics and has lived in the Sonoma Valley since 1970. She is also a founding member of the Arts Guild of Sonoma and the Sonoma Valley Jazz Society. 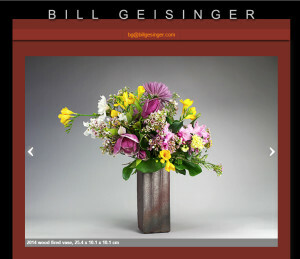 Bill Geisinger produces ceramics and wood fired stoneware. 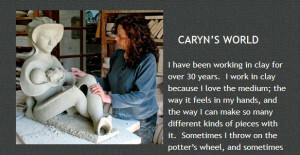 The Sonoma artist Caryn Freid is known for sculptural ceramics, as well as functional and decorative pottery. 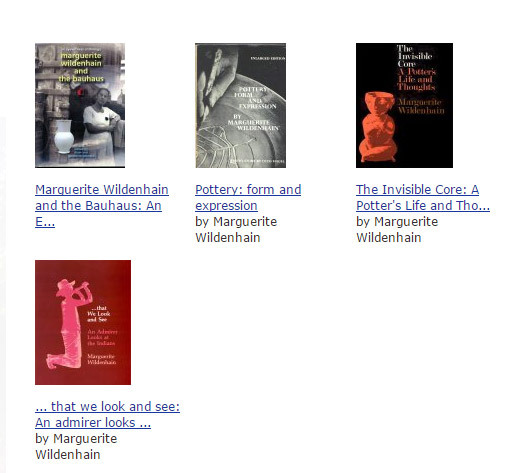 She studied many years at the Pond Fond Colony with Marguerite Wildenhain. 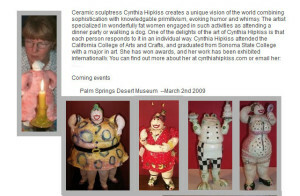 Ceramic sculptress Cynthia Hipkiss creates sculptures that combine primitivism, humor and whimsy. The artist specializes in “wonderfully fat women engaged in such activities as attending a dinner party or walking a dog.” Cynthia Hipkiss attended the California College of Arts and Crafts, and graduated from Sonoma State College with a major in art. David produces functional and art ceramics using textures, slips and glazes to add unique aspects to each piece. He uses various firing techniques – wood, pit, soda, raku and gas – to create his works. 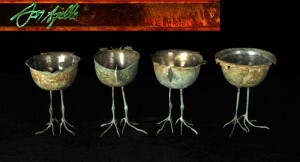 The Sonoma County artist Don Ajello creates sculptures in bronze and wood, ceramics, and mixed media art. 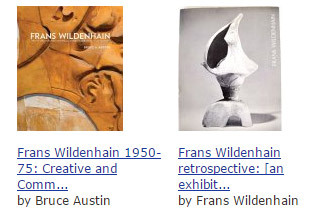 Frans Wildenhain (1905-1980) was a Bauhaus-trained German potter and sculptor. Right after World War II, he joined his first wife Marguerite Wildenhain in Sonoma County and worked as a teacher and artist with her at the Pond Farm Artists Colony. Frans then moved to Rochester, NY, and taught for many years at the School for American Craftsmen at the Rochester Institute of Technology. 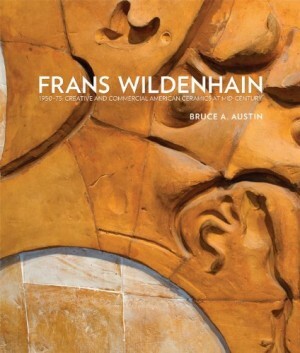 Frans Wildenhain received numerous prizes for his artwork, from (among others) the International Exposition in Paris (1939), the Albright Art Gallery (1952), the Brussels Worlds Fair (1958), and a Guggenheim Fellowship (1958). Gerald Arrington creates stoneware, wheel-thrown and altered ceramics that are inspired by nature. 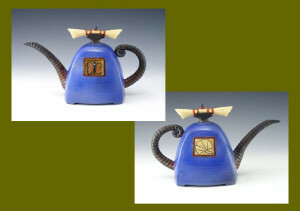 His work includes sculptural teapots, vases, urns, fountains and reflection bowls. 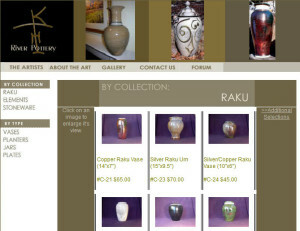 Gerald Hong, teamed up with Kelly Hong, creates handmade, museum-quality Raku ceramic vessels and wall pieces: Asian inspired vessels, teapots, pet urns, and cremation urns. James Fox, teamed up with Kathleen Fox, creates hand thrown pottery and ceramic art, of exceptional character, design, and quality. Stoneware and Raku pottery. 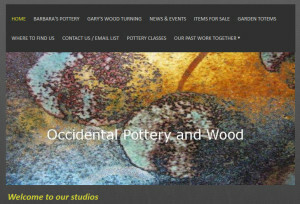 James Gray is a sculptor and ceramic artist who creates artwork and furniture in stone, wood, resin, and mosaic. He attended the School of Classical Woodcarving in Denver, and now has a studio in Sonoma County, California. 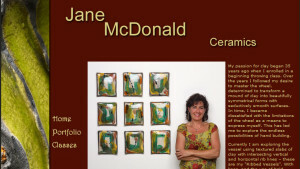 Jane McDonald is known for her ceramic art, and offers classes in the North Bay region. 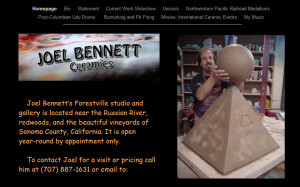 Joel Bennett has been a ceramic artist in Sonoma County, California for over 40 years. His work includes pit-fired vessels, drums, wall pieces and sculptures, utilitarian stoneware and porcelain, raku fired ware, and sculptural tile work. Joel works from his Forestville studio and gallery, located near the Russian River, redwoods, and vineyards of Sonoma County. He also teaches ceramics at the Santa Rosa Junior College. John Chambers is a ceramic artist who specializes in salted, glazed and functional stoneware. 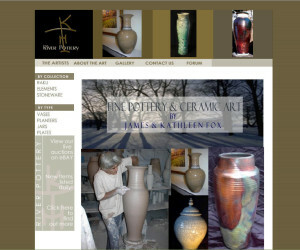 Kathleen Fox, teamed up with James Fox, creates hand thrown pottery and ceramic art, of exceptional character, design, and quality, stoneware and Raku pottery. 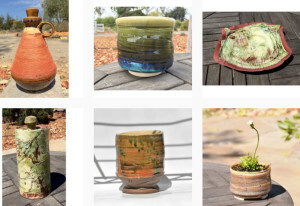 Kelly Hong, teamed up with Gerald Hong, creates handmade, museum-quality Raku ceramic vessels and wall pieces: Asian inspired vessels, teapots, pet urns, and cremation urns. 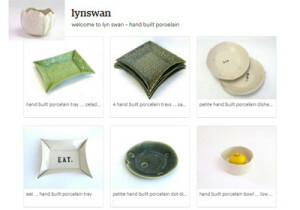 Lyn Swan creates handmade porcelain artware, as well as festive tableware and whimsical, playful “happy pots”. Marge Margulies Pottery creates lively and colorful centerpieces in fine porcelain, server sets and table ware. 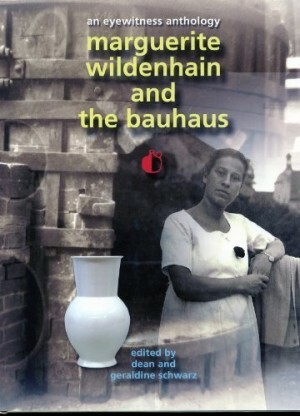 See also: Marguerite Wildenhain and the Bauhaus: An Eyewitness Anthology. 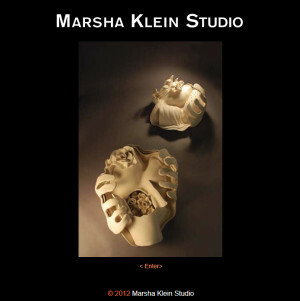 Artist Marsha Klein is a “contemporary visual artist (who) creates metaphorically expressive large format oil paintings and sculptural ceramics.” Marsha has a B.A. 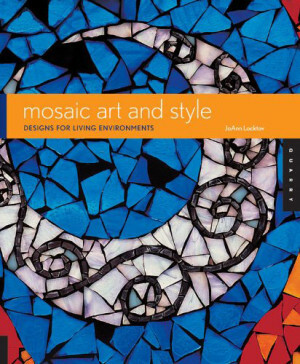 in Art and Art History from the University of California, Berkeley. Nancy Morgan creates wheel-thrown and utilitarian stoneware. 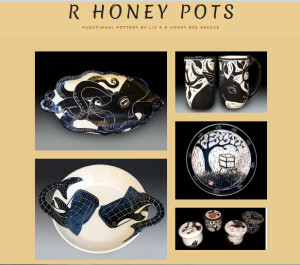 Her studio and gallery Thee Dog Pottery is located in Healdsburg, California. Richard Lind creates ceramics, high fire porcelain and stoneware. Robert Weiss is a ceramic artist of crystalline glazed porcelain, and a photographer. 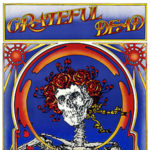 All profits from the sale of Roberts photography and ceramics are given to The Weiss Family Fine Arts Scholarship Fund.